Razboliala se Milkana sing Ivanka Ivanova, orhester Slava and dance group Detstvo . The video klip is do from TV Tjankov am 24.10.2011 in the ethnologishe museum Pazardjik. 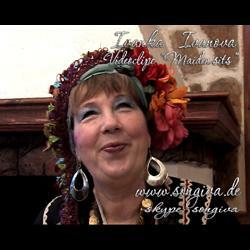 Song is from the Album "Kalina Malina" Acoustik Musik records Osnabruck, Germany. Producer Peter Finger .